Fruits are not only delicious but also full of healthful nutrients. 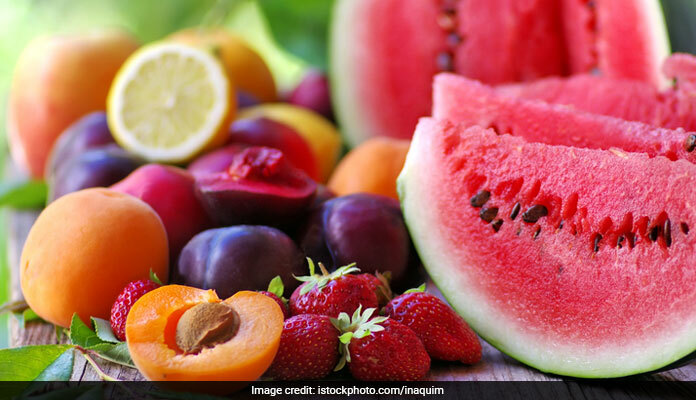 Wide varieties and different colors of fruits bring with them bountiful nutrients –vitamins, minerals and antioxidants. They help prevent heart disease and stroke, control blood pressure and cholesterol, prevent some types of cancer build immunity and improve vision. During monsoon many infectious diseases are rampant. Thus, majority of people fall prey to dengue, malaria, skin infections, jaundice, diarrhea and many more diseases. People with low immunity, children, and old people are easy victims to these infections. This juicy fruits is abundantly packed with vitamins, minerals and fiber. Its high vitamin C content helps build immunity and fiber aids in digestion. It also contains phenol compounds which are anti-influenza and anti viral. However, this super fruit is also higher in is sugar content so people with diabetes should limit their intakes of litchi. The reddish pink color of this fruit is a treat to both, the eye and the tongue. Its high vitamin c content is its major super power. It helps to boosts immunity and lowers the risk of atherosclerotic heart disease. It contains soluble fiber which helps normalize blood sugars in people with diabetes. Peaches are a good source of vitamin A and beta-carotene, which promote eye and skin health. Its high antioxidant content is attributed to it anti tumor and anti cancer properties. It is also good source of potassium and very useful in overcoming hypokalemia (low potassium level in blood). Peaches are a good laxative and work effectively in dissolution of kidney and bladder stones as well as digestive health. Black plum or Jamun helps relieve stomach ache and prevents diarrhea. It enhances immunity and it has anti cold and anti aging properties. Jamun juice especially is helpful for cough and asthma. It is also a good source of vitamin C and iron. Black plum or Jamun are low glycemic index and also anti diabetic. Director , Online Editorial at Just For Hearts. She has done Post Graduation in Dietetics and Nutrition. She is working in the field of corporate wellness for past 6 years. Has experience in Ayurveda diet planning & counseling; blood group diet planning focusing on life style diseases such as obesity, diabetes, heart diseases, hormonal imbalance etc. She has completed Harvard Medical School program in Lifestyle Medicine: Nutrition & the metabolic syndrome.